I've been gone working on a big equine case, but I want to pop in for some blog time! I love that equine law encompasses such a wide field, such as: labor and employment, immigration, constitutional, welfare, gambling, etc. But this post happens to be right on the money with everyday life for the active horse participant. There is a LinkedIn Group called This Business of Horses, and there was a recent forum discussion regarding whether you would ever permit a horse to go out on trial. I have learned that, for myself, I would find it unwise to purchase a horse without taking it on trial. I was surprised however to see such a solid argument AGAINST permitting a horse to go out on trial. 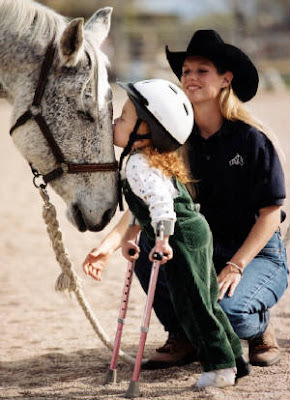 I think it depends on the horse and the level of rider taking the horse- I would be wary to let a beginner take a horse on trial back to a home barn, but I feel comfortable allowing an intermediate rider take my horse into a training stable where an accomplished trainer will work with the duo. 3. 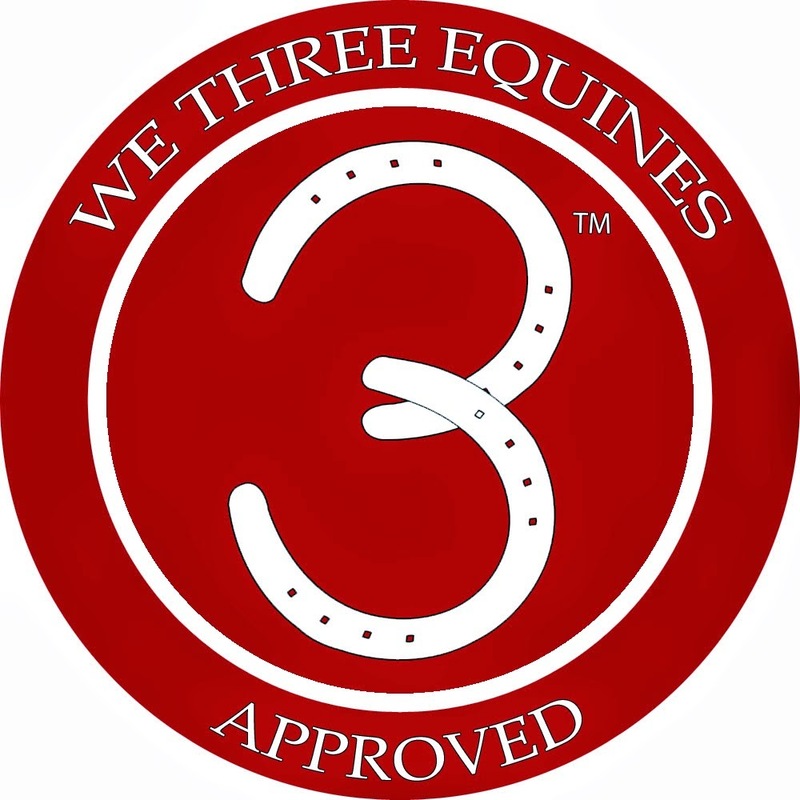 That an appropriate trial agreement/ contract is written requiring among other aspects, that the horse be returned in the same condition as it left the property, free from lameness, injury, or defects. If the horse is not returned in the same condition then the owner of the horse is entitled to either receive the insurance proceeds or cash the check. 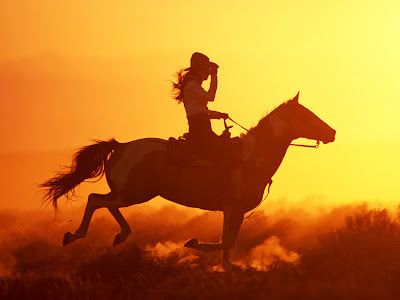 Other provisions may account for who may ride the horse, whether the horse can jump/ how often, if the horse can go to a show or be trailered off the prospective buyer's property, a release of liability if the buyers are injured on the horse, etc.
" - having a good contract is something that a[ ]lot of horse people really don't [e]nforce. When I see a seller offering a contract I know they are business people and want to make sure everyone is protected. They want to protect their horse as well as make sure that the horse is the best match for the prospective buyer. These are not the people new horse buyers have to be weary of ... these are the people that make their money from satisfied horse owners and quality horses. How do you feel about letting a horse go on trial as a seller, or taking a horse on trial as a prospective buyer? 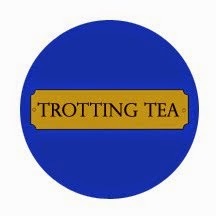 If you are firmly entrenched in one opinion, have a read through the forum post to see how your arguments measure up to the opposing side! We have come to the end of Vet Week! I had been worried about a sufficient tie of the equine veterinary world with the legal purpose of this blog, but the guest posts and comments from our readers really exceeded my expectations. Cool, or creepy? 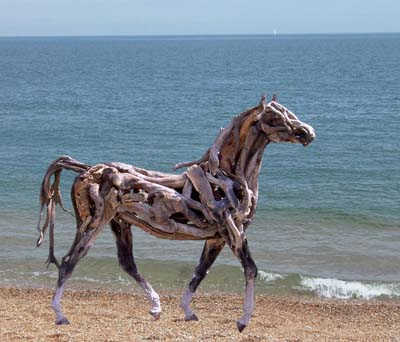 Horses made from Driftwood. 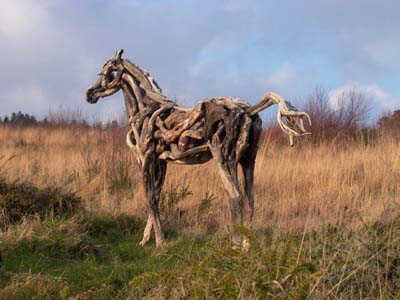 Source: and to see the sculpting process! I know the Vet Week posts were a bit longer than usual, but my goal was that you found them applicable to your life, or at the very least an interesting read! 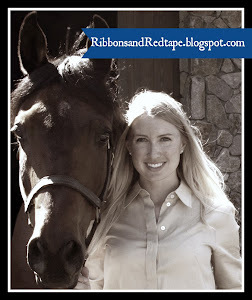 Many thanks to the readers, subscribers, and followers of Ribbons and Red Tape; for the blog award and for the re-posting of Dr. Knopf's pre-purchase tips on Alison Rowe's great equine legal blog. Thank you for following along this week, and I hope you gained some valuable knowledge and resources to use for your own equine life! I provide a large disclaimer in my left column that I am not yet licensed (California takes forever to send out bar results!) because I cannot engage in the unauthorized practice of law, which includes giving legal advice or signing legal briefs, among other tasks. In the same way, veterinarians cannot engage in the unauthorized practice of veterinary medicine, though the boundaries between lawful practice, unlawful practice, licensed vet technicians, or unlicensed pet-services providers can at times be a bit blurry. "There are four states with felony penalties for the unauthorized practice of veterinary medicine: Florida, Michigan, New York and Nevada. The majority of states provide only a misdemeanor penalty for unauthorized practice and most states have provisions allowing for injunctions, cease and desist orders and monetary fines." Individual state veterinary boards have control over licensed veterinarians, so if there is misconduct, a vet's license can be suspended or revoked; if someone practices veterinary medicine without a license (such as diagnosing or treating animals), the state veterinary boards have no authority to reprimand them for misconduct. Those who engage in unauthorized practice argue that they would be happy to work under a vet, but they cannot find a vet willing to supervise them; or, they say that vet care is costly, and they provide an alternate and affordable supply of services to meet the demand. Allowing your horse to receive veterinary care under a non-licensed vet or vet technician can endanger your horse, and it actually can be more expensive or physically harmful to your horse in the long-run if a vet is required to repair what an unlicensed practitioner may have missed or done wrong. 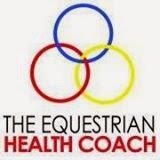 Vets are trained to not only perform the requested task, but to also be aware of other health issues in the whole horse. 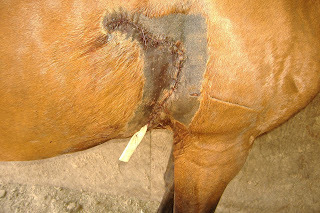 I am not asserting that all unlicensed practitioners would harm your horse's health, however, as frustrating as it may be that I cannot practice law until a piece of paper comes in the mail, I believe that for the purpose of controlling the quality of care provided to the state's animals, drawing a line between a license or not is necessary; I would recommend licensed care for your horses. One final point: for those of you who perform veterinary tasks on your own animals (such as dental cleaning beyond brushing/flossing), for the most part you are permitted to do so because your animals are your private property. And this seems to also be the case for private welfare and non-profit rescue organizations (at least in N.C.) Typically it is receiving compensation in any form that is a red flag for "engaging in" the unauthorized practice. However, even though a pet is private property, a person would be subject to welfare laws if their "vet treatment" is inhumane, painful, or harmful to the animal. For an interesting article on the subject click here. I know this post doesn't provide concrete answers as to how each state defines what is, or is not, veterinary care; but where do you think the line should be drawn as to what type of care should require a board-certified, licensed veterinarian? Would you consider using a non-licensed vet for your horse's veterinary needs? 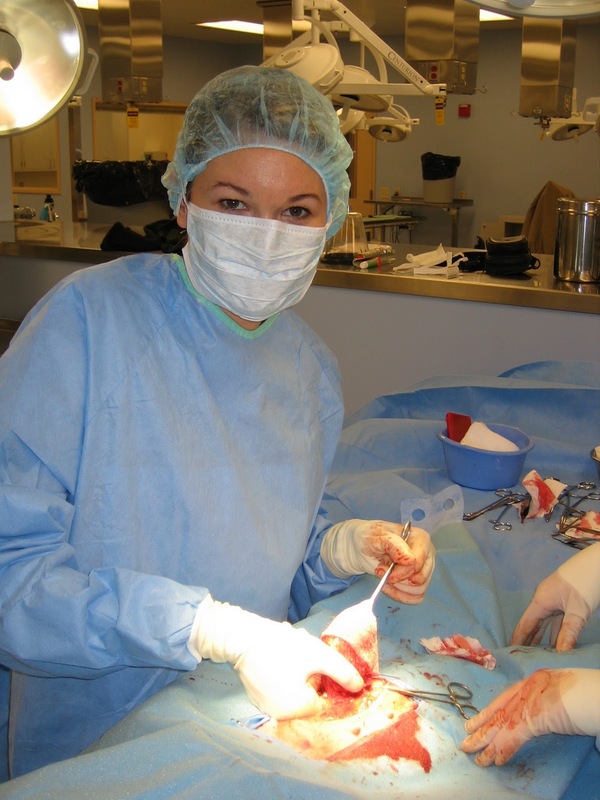 Veterinary malpractice is quite different from medical malpractice. Most obviously, in medical malpractice a human being has (allegedly) been injured, whereas in veterinary malpractice it is personal property (the horse) that has been injured. Veterinary malpractice is different than suing for veterinary negligence, though both involve establishing that the vet has violated the standard of care (acting with the skill expected of a similar veterinarian under a similar circumstance, or of a Reasonably Prudent Person). They key distinction is that malpractice applies to those acting in a professional capacity. Originally malpractice claims were limited to doctors or lawyers, but now the definition of "professional" has expanded. Some states specifically include veterinarians in the malpractice statutes/ laws, while others do not. California Business and Professions Code (Section 4883) specifies that a vet may have his or her license suspended, revoked, or other penalty for violation of particular veterinary professional rules. When a veterinarian is acting in other than his or her professional capacity, the normal negligence standard is used. 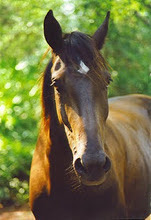 For example, if a veterinarian performs surgery on a horse, the surgery shall be judged under malpractice standards, but if a veterinarian is arranging for the transportation of a horse by trailer, the reasonable person standard applies, since the activity is not within the bounds of his professional knowledge or skill. It should be noted that even if an animal owner succeeds in the malpractice action, financial recovery is typically rather minimal for the death of an animal, especially as compared to the loss of a human life, because the animal owner must prove monetary damages to him or herself (and less commonly, emotional damages are recognized). Examples of financial loss: the death of a stallion that earns income from cover fees or a winning racehorse that can no longer race due to veterinarian wrongdoing. Often the vet fees can be recovered, which are often also recoverable in a private settlement with the vet, thus sparing the high costs of litigation. If you feel your horse has suffered from veterinary malpractice, consult with an equine attorney who can evaluate whether you have a case or not. We all need to remember that just like doctors, veterinarians cannot always save every patient despite using the best skills and technology available- suing the vet will not bring your horse back to you. Click here for veterinary malpractice cases, some of which the horse owner won, and some of which the defendant veterinarian won. Equine attorney Julie Fershtman shares a post in which she was featured on the radio show Horses in the Morning. In the show she discusses what is, and what is not, veterinary malpractice. 1) Use good vets that you know and trust; if you don't know a good vet, ask other horse owners in the area for a referral; 2) if your horse is valuable, get major medical and mortality insurance on the horse; and 3) if you suspect malpractice, your first call should be another veterinarian so you can get an idea of whether or not the standard of care was breached. That will be your ultimate issue. I am happy to present Part II of Dr. Knopf's contribution to Vet Week. In this post, she follows-up her client's story of a purchase-gone-wrong with preventive measures and advice. On a nicely alliterative note: Ribbons and Red Tape presents Recommendations and Red Flags! 1. Be cautious in purchasing any horse that has been turned out to pastured/not ridden for 6 months or more, regardless of reason given (my daughter is going to college, we haven’t had time to ride…). a. Reason: Many horses that suffer from a career-altering injury are turned out to pasture/ not exercised for at least 6 months. These horses will often appear sound when ridden, until they are returned to a regular work schedule. 2. Be cautious in purchasing any horse that is currently not training or showing at the level of your intended use. a. 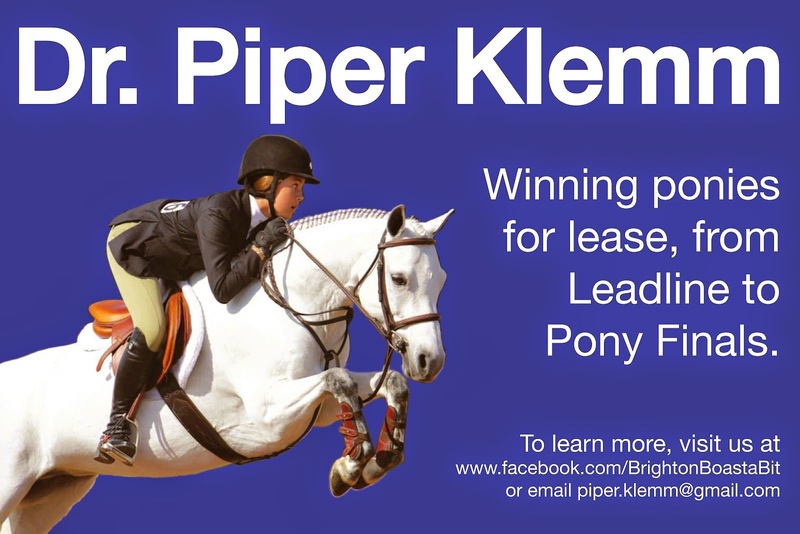 Reason: The higher the level of competition, the higher the physical demand on the horse. Subtle problems may not be seen until he is training at a higher level. for pre-purchase exam, discourages you from having a pre-purchase exam, or discourages you from using a veterinarian of your choice. a. Reason: Sadly, the horse business is not immune to fraud and neither is the veterinary world. By choosing a veterinarian that does not have a direct relationship with the seller, you can protect yourself from a potentially biased opinion. 4. Be cautious when purchasing a horse whose selling price is far below current market value. a. Reason: “too good to be true” often is! It is frequently said that “there is no such thing as a free horse.” Horses require significant expense to feed, house, shoe, train and provide veterinary care. 1. Protect yourself! Always have a contract. 2. Always, always, always have a pre-purchase exam performed. Regardless of length of familiarity with the horse or seller, there should always be a thorough pre-purchase exam performed to provide you with a complete understanding of the health of the animal you are purchasing. 3. For the pre-purchase exam, choose a veterinarian that is familiar with the breed and discipline of the horse and does not have a direct relationship with the seller. 4. Always have a veterinarian pull and store blood at the time of pre-purchase exam. This blood can be stored for several weeks. If you purchase the animal and later suspect the horse may have been under the influence of a medication at time of exam, the serum can be analyzed for medication and may provide you with legal recourse if necessary. The extra time, effort and expense to legally protect yourself and gather pertinent information on your potential new horsey family member is well worth it when you consider Mrs. Merriweather’s predicament. She currently owns a horse that is not suitable for regular riding, will be difficult to re-sell, and will cost significant expense for feed, housing, shoeing and veterinary care. It is heart-breaking to know that this situation would have been avoided if she had followed some of the recommendations above. Thank you once again Dr. Knopf for your contribution to Vet Week! Greater equine veterinary and legal knowledge is helpful to both horse owners and the equine professionals working with them. I am so glad that readers can have Dr. Knopf's checklist as a resource for personal use or to give to friends who are planning on purchasing a show horse. Please be aware all content on this site is original and copyrighted to the author(s), with the exception of photos or text that contain a link to an alternate source. Express permission must be received for use of any materials on this blog. A link back to this blog is permissible for content quoted on other blogs, though subject to removal upon request. 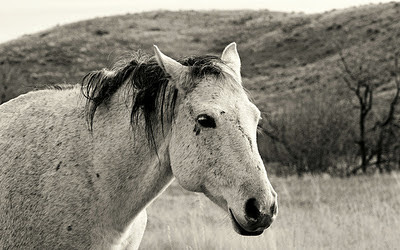 "The horse ran through a fence when frightened from a thunderstorm. She is now completely healed and suffers no lasting effects." Welcome to the newest feature on Ribbons and Red Tape, where a different aspect of the equine world will be given an entire week to be discussed from a legal perspective. 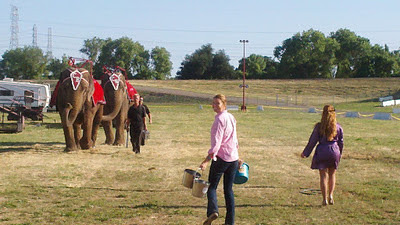 This week I am excited to introduce Dr. Camille Knopf, a veterinarian in Northern California. 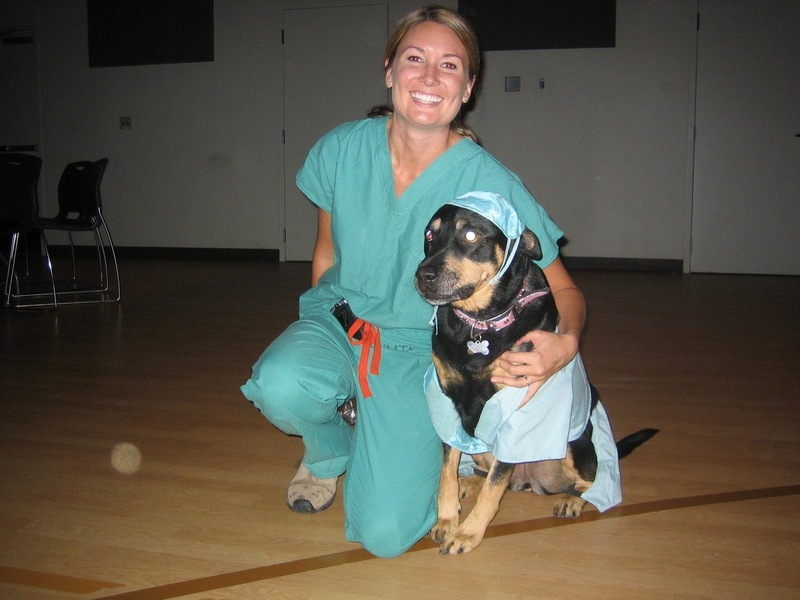 Dr. Knopf graduated from UC Davis School of Veterinary Medicine and runs her private practice, Silverado Equine. 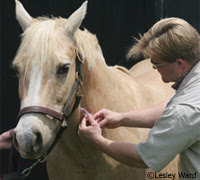 Dr. Knopf has a diverse practice with an emphasis in health of the whole horse, including the provision of an advanced acupuncture technique to help horses feel their best. Most of all, I'm excited to introduce Dr. Knopf because she is my sister! Please enjoy her insight into the intersection of the veterinary and legal world in today and tomorrow's posts. Mrs. Merriweather and her daughter love horses and love to ride. One day Mrs. Merriweather was talking about her love of horses with a friend at work. This co-worker, Mrs. A, mentioned that she actually had a wonderful horse for sale that may be the perfect fit for Mrs. Merriweather's daughter. Mrs. A said she was only selling him because her daughter was going off to college. Mrs. Merriweather and her daughter drove into the foothills that weekend to take a look at “Rubio.” Rubio was a beautiful horse, a dappled grey gelding with a gentle personality. Mrs. A gave a glowing review of the horse: he used to train at a renowned show barn, he had never had any health issues, and she was willing to sell him at a very reasonable price because they had no need for him at the time. Mrs. Merriweather’s daughter rode the horse in the owner’s arena and fell in love. Mrs. Merriweather felt comfortable purchasing the horse because she was friends with Mrs. A, her daughter enjoyed riding the horse, and he was selling for a reasonable price for a horse with his training history. She wrote the check and arranged for the horse to be shipped to their local barn. Upon arrival of the new horse, Mrs. Merriweather promptly calls me, her equine veterinarian, as she wants to be conscientious in the care of her new horse. She requests an examination and for me to perform any necessary preventative care. Upon examination I quickly observed that the horse was lame in both front limbs. The lameness was very subtle on soft ground in the arena but became severe once the horse was moving on firm ground. There was no evidence of acute injury and it was clear that it was likely this horse was suffering from a chronic condition. Mrs. Merriweather and her daughter were devastated to hear the results of the exam but agreed with my advice that they should return the horse to Mrs. A, if possible, rather than spend a potentially large sum of money in diagnostics and treatments all without the guarantee of a sound horse in the end. Mrs. Merriweather contacted her friend Mrs. A and was surprised to learn that Mrs. A was unwilling to take back Rubio. Mrs. A claimed that Rubio had never had any health problems; he was in perfect condition upon leaving her farm and had no obligation to refund any money or take the horse back. Mrs. Merriweather’s disappointment turned to frustration and anger as she realized that she had spent thousands of dollars on a horse with significant health issues that would be costly to address. She wanted to know if she would have any legal recourse against Mrs. A. Sadly, Mrs. Merriweather had me examine the horse AFTER purchase. She also purchased the horse without any legal contract. She had felt secure in making the transaction because she knew the owner personally and had the horse examined by me immediately upon arrival at the barn. Unfortunately Mrs. Merriweather had placed herself in a situation where pursuing legal action would be expensive and time consuming. Quite the story, thank you for sharing it with us! The buyer lost her purchase price, lost a suitable horse for her daughter, and lost a friend in this transaction. While of course there is almost always a way to initiate legal action, Dr. Knopf was correct in pointing out that (especially) because there wasn't a contract dictating what the parties should do in this circumstance, legal action to repair the damage done would cost the Merriweathers greatly in time and money, much more than if they had taken preventative legal measures.